+ In second game, Williams gets code violation for coaching. She tells umpire Carlos Ramos she was just getting a thumbs up: "I don't cheat to win; I'd rather lose. I'm just letting you know that," says the American. + Williams broken back at 3-2, destroys racquet, gets point penalty and tells Ramos: "You owe me an apology." 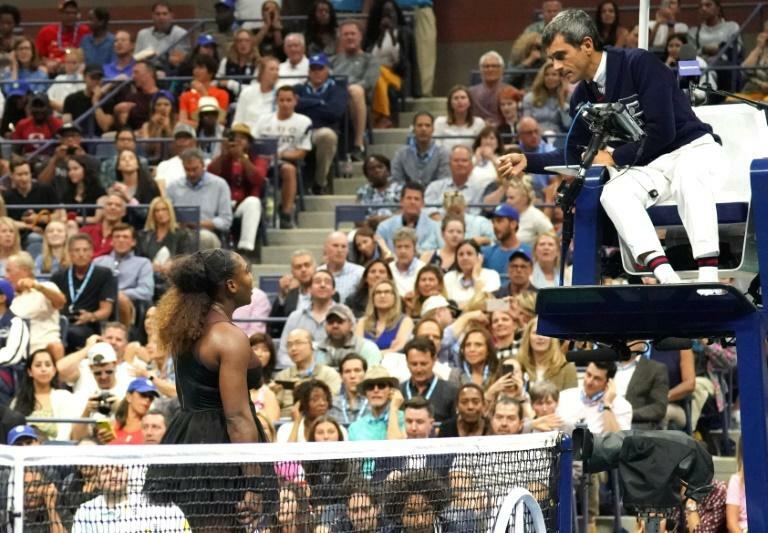 + Williams is then docked a game to go 3-5 down for calling Ramos "a thief" and breaks down in tears on court as she engages in furious tirade against tournament officials. + Osaka keeps composure to take title as Serena continues to insist on apology from Ramos. Key match statistics: Williams 21 unforced errors, six double faults -- a game penalty and accusations of umpire being "thief". Williams: "I know you guys were here rooting, but let's make this the best moment we can. Let's give everyone the credit where credit is due. Let's not boo any more." Osaka: "I know everyone was cheering for her and I'm sorry it had to end like this."